-Mix the red onion, sugar, red wine vinegar and a pinch of salt in the small bowl and leave for 10-15 minutes while you cook the mushroom. -Clean and wipe Shiitake mushroom with a dampened kitchen towel. -Put the rapeseed oil in the non-stick pan, add garlic and chilli then gently fry for 30 seconds. -Add the mushroom, toss and make sure the ingredients mix well until the mushroom cooked. -Season with the light soy sauce, water, a pinch of sugar, a pinch of salt and basil. Toss or gently fold all ingredients together. -Toast the sourdough then lay on the serving plate. Top with cooked Chilli and Shiitake mushroom then the onion pickled on the very top. 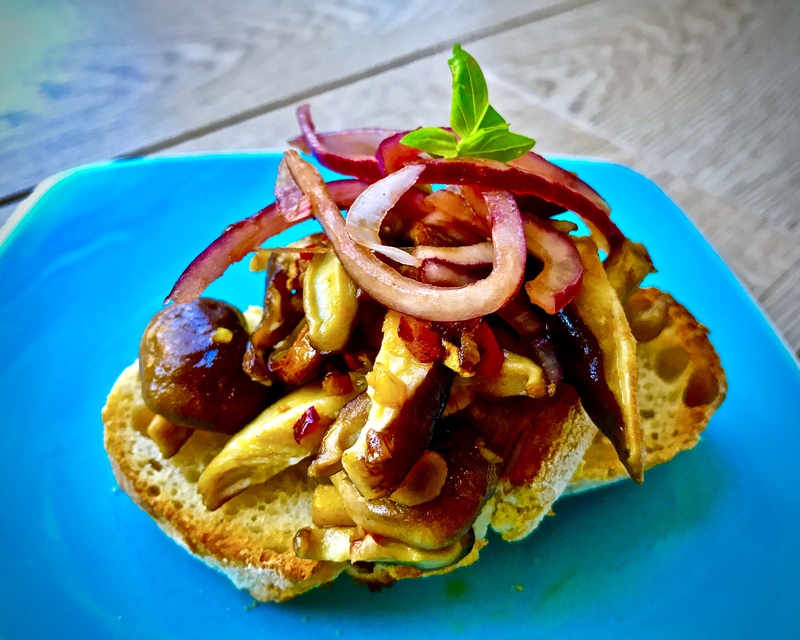 Serve Chilli and Shiitake Bruschetta immediately. -Try not to over stir the Shiitake mushroom. Use the spatula and gently fold if you can’t toss the pan. -This Thai/Italian inspire is very versatile. 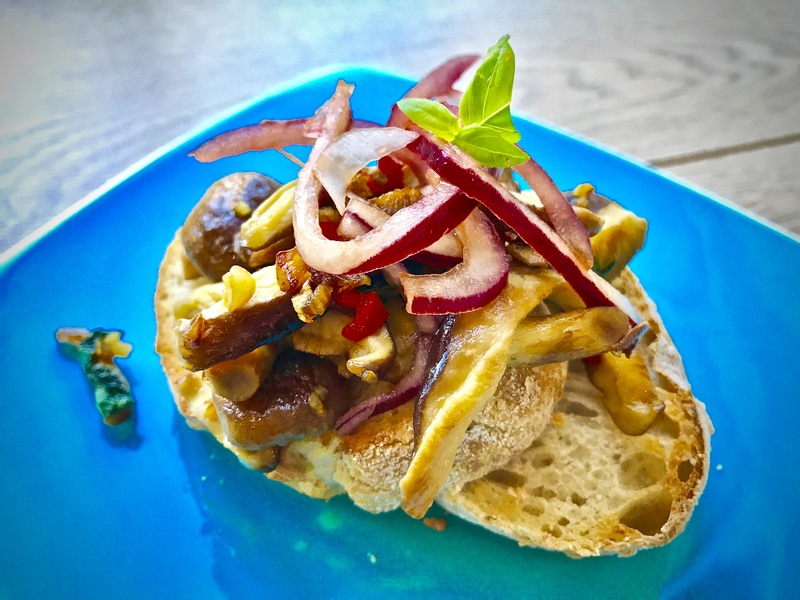 You can have Chilli and Shiitake Bruschetta as a breakfast, starter or light lunch.